This past month I’ve work hard to balance what appears to me to be a shift in fundamental client demands surrounding tax services with the legal requirements for income tax return preparers. The background of the issue is covered in more detail in this previous blog post. While I work primarily as an adviser, I must adhere to the legal standards of tax preparers whenever my work anticipates the filing of income tax returns. Thank you for choosing me to prepare your ____ income tax return. I will work on your behalf to maintain the confidence that you have placed in me. This communication is intended to confirm and specify the terms of my engagement with you. I will provide tax advice as needed or requested to meet specific objectives or generally to meet long-term tax related goals and objectives. You have the right to review and/or be supplied with copies of any and all tax planning or research memos and work papers prepared by our firm related to such tax advice. – Researching the income tax reporting of a particular transaction. We will review these situations with you and resolve issues in your favor whenever possible. – Providing business tax and consulting to you for consideration in making tax-related decisions. – Providing services related to the expected outcome of future tax decisions. Privileged tax advice does not include communications associated with the preparation of tax returns, tax accrual work papers associated with a financial audit or other financial statement engagement, or in providing general business or accounting recommendations or other non-tax engagements. You may assert the confidentiality privilege in any noncriminal tax matter before the Internal Revenue Service or any proceeding in Federal Court brought by or against the United States. I will not disclose any advice provided under the scope of this engagement letter to the Internal Revenue Service or third parties unless you provide us written consent to do so. Any disclosure of confidential information by you or us to the IRS or third parties may cause the Confidentiality Privilege to be waived. Caution must be taken by both parties to not inadvertently waive the privilege. You should notify us of any requests by the Internal Revenue Service for information about any tax advice or tax advice documents provided by us to you. 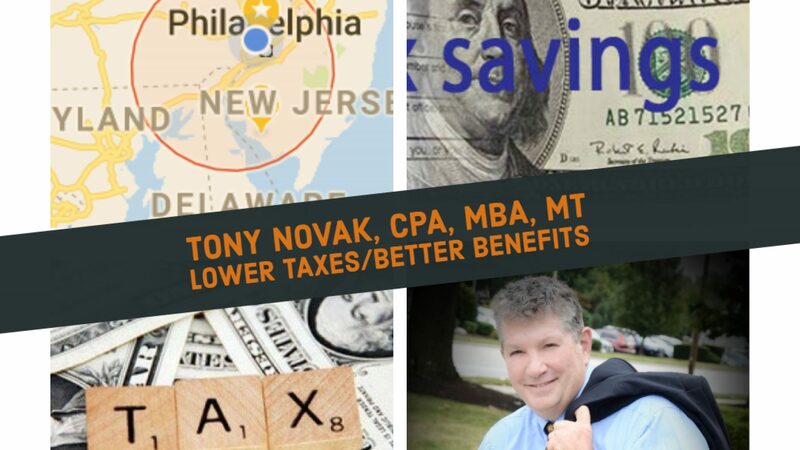 If you advise me to assert the Confidentiality Privilege on your behalf you agree to hold Tony Novak Certified Public Accountant harmless and indemnify us for any attorney fees and any other costs and expenses including penalties incurred by us in defending your confidential communication. 1. Provide a tax organizer or checklist to help gather information. 2. Proves a secure online portal for submission and storage of your private documents. 3. Read your last years’ tax return. 4. Discuss the issues that will have the most impact on your taxes. This engagement does not anticipate discussing all issues affecting your tax return. 5. Prepare the ____ federal and state income tax return(s) for ___________ with supporting schedules. 6. Perform any bookkeeping or accounting services necessary for preparation of these income tax returns. This will include a summation of data for business income and expenses from the format that you provide into the format presented in the tax return. Unless otherwise stated, the fee for these bookkeeping and accounting services is not includes in the basic flat fee for tax return preparation. 7. Compare this year’s tax return with the prior year to look for inconsistencies, risks, and opportunities for potential savings. 8. Electronically file your tax return, submit electronic payment if necessary, and provide you with an electronic copy of the tax return and evidence of acceptance of the electronic filing. If there is additional service you require or there are any additional tax returns you expect me to prepare that are not listed above, please inform me. My work in connection with the preparation of your income tax returns does not include any procedures or tax return not listed above. My work is not designed to discover defalcations or other irregularities, should any exist. I will use my judgment in resolving questions where the tax law is unclear, or where there may be conflicts between the taxing authorities’ interpretations of the law and other supportable positions. Unless otherwise instructed by you, I will resolve such questions in your favor whenever possible. The law provides various penalties on the taxpayer and the tax return preparer that may be imposed when taxpayers understate their tax liability. If you would like information on the amount or circumstances of these penalties, please contact me. You are responsible for the proper recording of transactions in some books or records of accounts, for the safeguarding of assets, and for the substantial accuracy of the financial records. You have the final responsibility for the income tax returns and, therefore, you should review them carefully before you sign and file them. This engagement ends when I complete the work listed above and return any of your original documents to you. I reasonably expect this work to be completed by _____. This agreement does not offer to extend services extend beyond the end of the engagement. For example, there is no assurance or agreement that I will provide the same services under the same agreement next year. Either of us may opt to end the engagement before the time described above in the “End of Engagement” section by giving written notice of early termination of the agreement and returning any original documents. The written notice must include the specific words “cancel tax engagement” in the heading or top of the communication. There may not be a reason stated for the early termination and we may recognize that a termination without stated reason is in our collective best interests. In the event of early termination the total fee for the tax services engagement will be reduced to half of the amount listed in the “Fee” section below. Fees for additional services remain unaffected by the early termination. All work will stop at the point of notice and provisions included in the “Work to be Completed” section above will no longer apply. Both of us acknowledge that the simple provisions in this “Early End of Engagement” agreement are intended to be used as a means to avoid conflict in the event that circumstances change for either of us. This provision typically applies if you ‘change you mind’ after work begins. If, in the course of my work, I determine that I cannot meet the legal standards required to allow me to file the income tax return in a manner that meets your request then I will notify you that I disengage from this tax return preparation engagement and return any fees previously collected for income tax preparation services. In the event of disengagement under this provision, we agree to re-characterize the portion of my work that is not spent directly on the preparation of the tax return as tax planning advice. If any fees are due for accounting of advisory services, this refund will be applied to the outstanding balance due. This provision typically applies if we disagree on a tax position. Your returns may be selected for review by the taxing authorities. Any proposed adjustments by the examining agent are subject to certain rights of appeal. In the event of such government tax examination, I will be available upon request to represent you and will render additional invoices for the time and expenses incurred. The procedures and fees for representing you in an audit are not included in this agreement. During the work of accounting I am likely to find other financial and accounting topics that we should discuss. The results of these possible additional discussion and any resulting work stemming from those discussions are not covered in this letter. My fee is the combination of a flat fee plus any additional fee that may apply. The flat fee for the services described as included in the “Work to Be Performed” section above will be $___. This fee does not include to price of additional or other accounting procedures not described above as included in this agreement that may be requested or may become necessary to complete the work. If we agree that additional separate accounting procedures are required, these additional procedures will be covered under a separate engagement agreement. Additional work required for the completion of this tax return engagement that is not included in either the flat fee agreement or a separate engagement agreement are billed at a rate of $3 per minute plus any out-of-pocket expenses like copying or delivery fees. All invoices are due and payable upon presentation. Typically half of the fee will be invoiced and paid prior to the beginning of work and the other half invoiced and paid prior to electronic submission of the tax return.